Nigeria is blessed with some of the stunning natural swimming spots available for refreshing and relaxing during vacation or weekend breaks. These scenic swimming spots have become home to some of Africa’s most amazing natural wonders. Many Nigerians flock to these destinations during weekend breaks or holidays to enjoy .These swimming spots are places to cool off on a hot afternoon. The cool water activities including other fun things you can do around the areas are just amazing and exciting. It can only take something extraordinary to allure you away from the beauty that surrounds any of these spots. Here are 10 stunning natural swimming spots in Nigeria; from waterfalls, springs to waterholes and they are surrounded with lush landscapes and mesmerizing rock formations. Spend time with your friends and family in any of these spots and enjoy immeasurable hours of fun. So grab your swimming wears and a towel, and enjoy the water sliding from the spots. 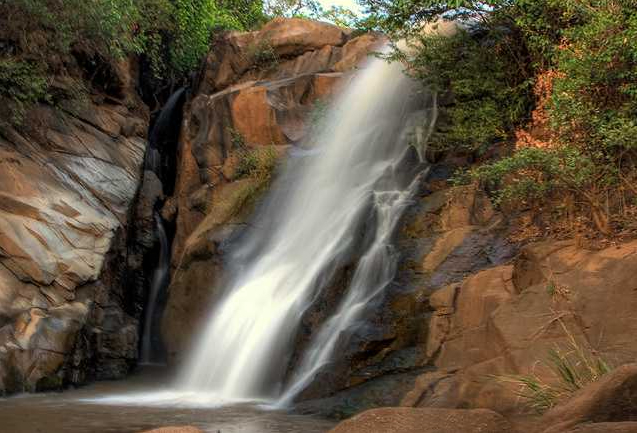 Submerge yourself in the cool waters of Erin Ijesha – Olumirin Waterfall and have a swell time. Within the Osun seven step waterfall is the swimming spot, which is mystical and offers swimmers something daring to do when they jump inside the water at the base of the falls. 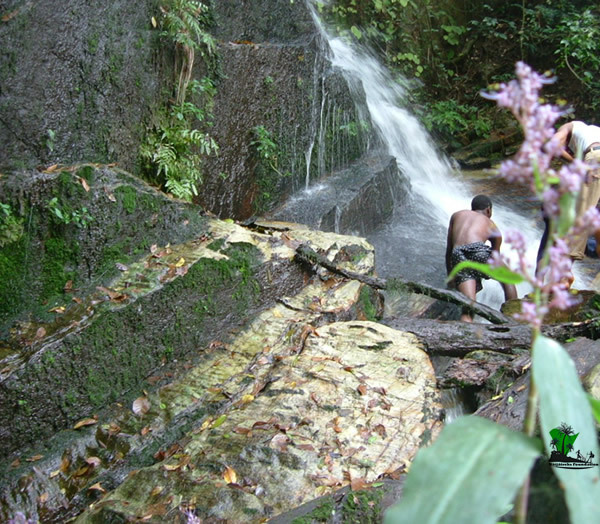 Erin Ijesha falls is referred to as Olumirin by the locals. It has remained almost secluded because of its religious significance but it is open to the public. Just be ready to lunge to great depths as your lungs endure while you duck dive down the water in Ikogosi Spring. It is tucked away by Mother Nature in Ikogosi-Ekiti, where it created a cold and warm spring to flow side by side, with few myths surrounding its origin. 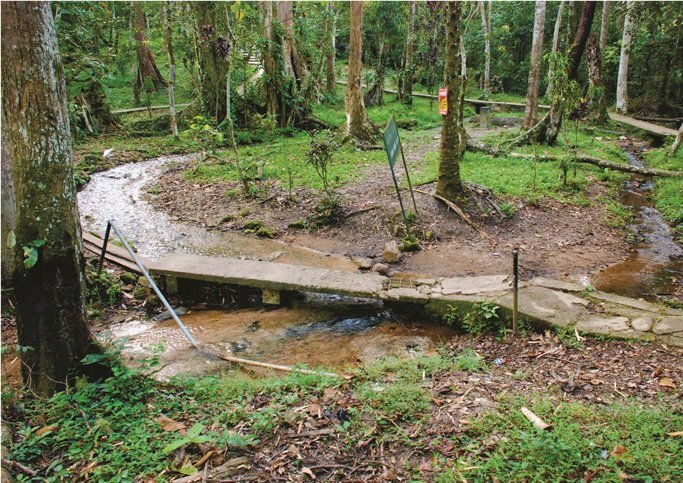 Visit this natural water spot and have a dip in any of the waters. There is no need wasting time if you really want to swim here, just go and make the fishes envious with your swimming skills. Some said that the heaven has come to be among men at this highest waterfalls in the country, with water cascading down to a pool of ice cold water. What an experience to swim here during the hot weather? You are not going to be alone when you arrive at the Own Falls because there are a lot of swimmers who are eager to make a dive inside the water. In the local Duguri language, Wikki is translated as ‘Where are you? 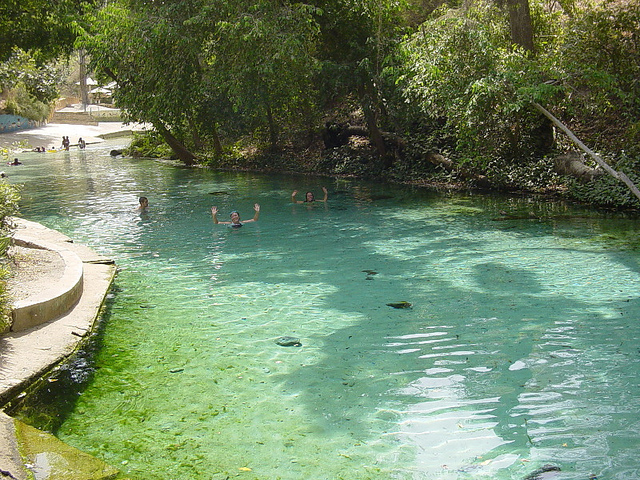 Okay, if you ever find yourself in this warm water spring which is the largest in Yankari National Park, what are you going to do? This is where you can unwind and relax. This spring has become the favourite of tourists because of its constant temperate at 31.1°C. This is a nature gift to the people of Plateau State. It is situated in a picturesque surrounding that makes swimming exciting. Just some kilometres along the Jos- Akwanga road, you will find this stunning nature’s wonder. Definitely, you will love this place! There are a lot of tourist attraction sites in Ikom, Cross River state but Agbokim waterfalls is quite a beautiful spot to behold. This waterfall appears to be falling sheet of water. 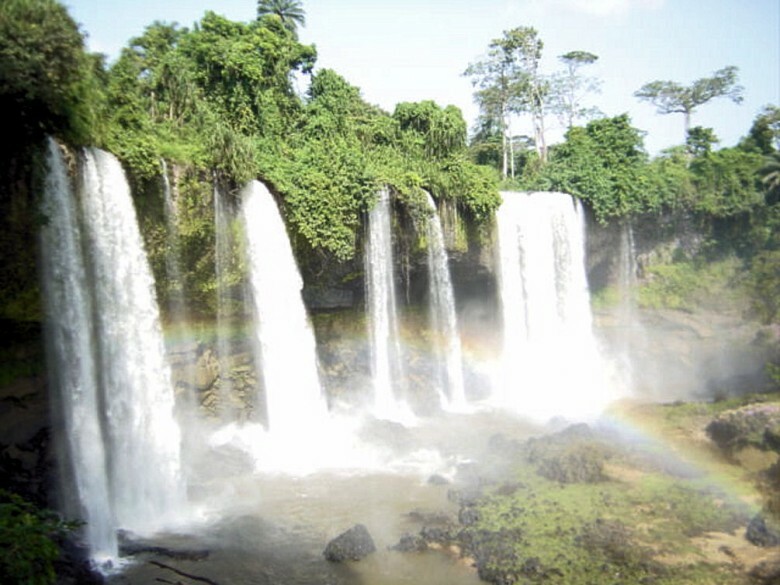 The cross border experience it gives to Nigerians and Cameroonians is alluring, the waterfall has seven streams that cascades over the rocks comes down as a seven faced falls. 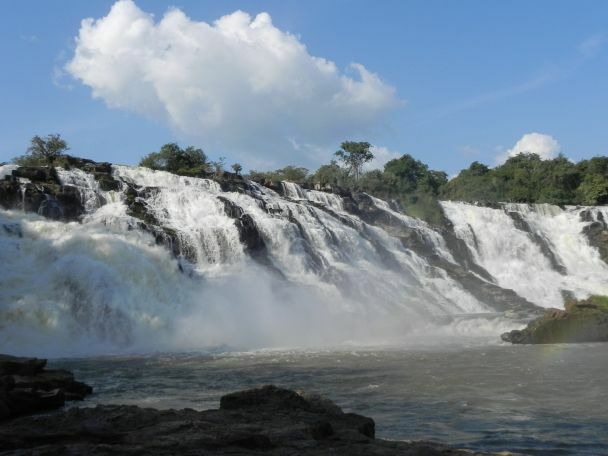 All the way to Nasarawa State is situated the Farin Ruwa Falls. You have a natural swimming spot that has a height of 150m and 50 metres wide. You cannot beat the splendour that comes from this fall that is compared with the Niagra and Victoria Falls. Are you thinking of going somewhere where only a few do, then it is time to visit the Arinta Water Falls in Ipole-Iloro, Ekiti State. It is surrounded by natural forest vegetation and it is not far from the Ikogosi Warm Spring. It is a perfect place for your picnic, relaxation and swimming. Do not expect to see a waterfall here. If you love waters, you would adore this stunning warm spring that is situated in Benue state. You can spend your day swimming here. The scenery of Enemabia Warm Spring is stunning and natural. For those who want to swim in exotic locations, no need travelling out of the country to do so when this warm spring is all yours to conquer. 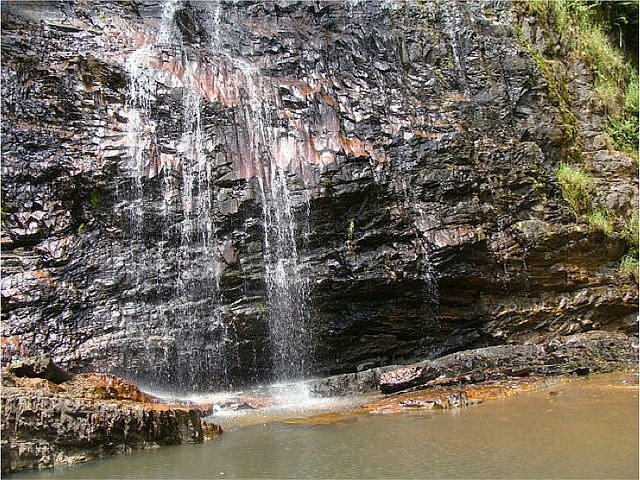 The last on our list is a waterfall called the Gurara Falls that is situated along Minna-Suleja road. You can only have one word for this place, blissful and when you take that first step inside the clear water especially during the dry season; do not expect to take a step backward because you are going to take a that dip. 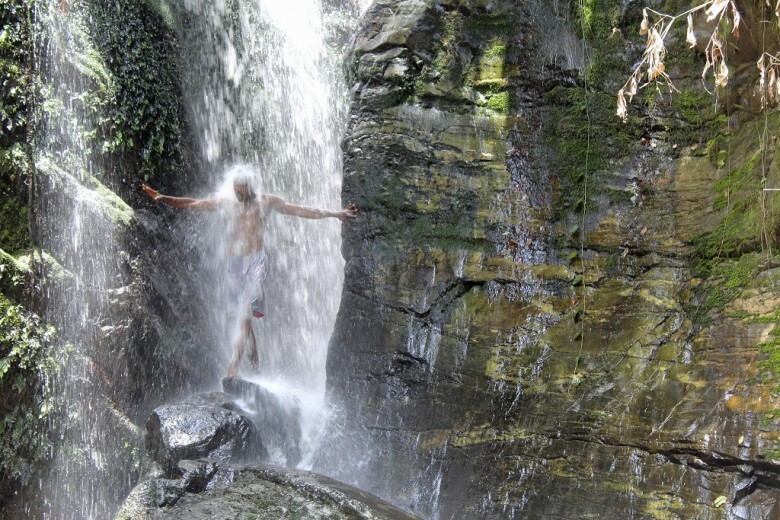 This entry was posted in Travel and tagged Erin Ijesha falls, Ikogosi Spring, Owu Falls, Stunning Natural Swimming Spots In Nigeria, Wikki Spring. Bookmark the permalink. i know erin ijesha well. that ain’t it(picture). its so interesting. i can’t get tired of going there. a nice place to be. well located. not to far. ikogosi is good for ekiti/nigerian tourism too. the emergence of hot and cold water and its convergence is amazing. though not well located, fantastic to party and you’d better have you car if you wanna enjoy your trip. wikki. Whaaaaaow!!!!! !, God is wonderful. wonderful natural attraction/endowment. so blue and those holes from which the water comes out. the amazing this is water solely supply its surrounding safari, where the lion elephants, buffallos etc drink. when swimming in the pool just be mindful of your belongings as baboons may take them and run into the forest. a great place, though far from bauchi. wikki should be in number two. erin ijesha passes well for no 1 but the govt and private firm managing it should take more care of the place. Nigeria is a blessed country with a lot of tourist attractions waiting to be fully developed for local and international fun seekers. The Ikogosi Warm Spring- Arinta Waterfalls Ipole Iloro axis of Ekiti state (barely 5km apart) remains the best location to enjoy good value for your money when next you are planning for vacation, conference and host of other activities. Wow! So, you’ve been to those three locations. I’m quite sure that travelling is your hobby. And if I’m to advise Buhari, I would ask him to consider you for the post of Minister of Tourism. Thanks for this educative information. I have been to Ikogosi Spring it’s lovely and amazing. When you get there you will bear witness to the wonderful work of God and praise him the more. Pls where is this OWU FALLS? I mean which state and Town? I’ve bn to Erin-ijesa in Osun state , Ikogosi in Ekiti- state and also Owu water fall which is not far from Oroago in kwara state. 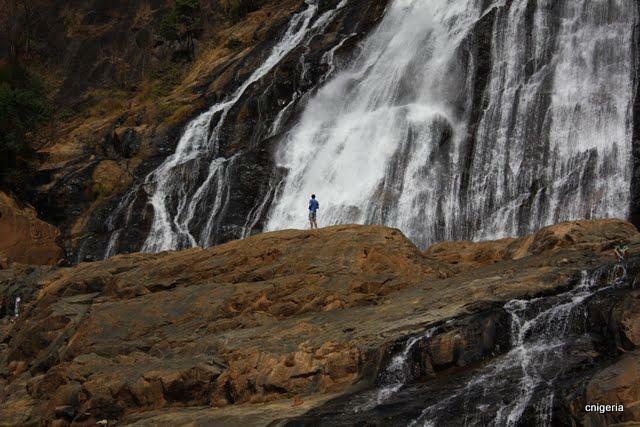 i have been to assop falls and Gurara falls. It’s really beautiful and scenic. 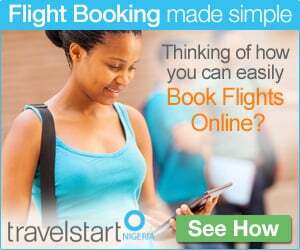 Would like to try farin runwa and wikki falls too. These are the fact to Gods doing…..
Also,ikogosi is a very lovely place to be….i can swim in dere pool frm now till the next day. And,arinta is also a very astonishing centre,with its seven hills and falls,and also d voice control on the waters(the more the noise d more d rush of waters,n its situated in my home town so I go there as often as possible…. Which of the locations particularly those in the Southern part of the country has a good hotel close by? Av been to Erin Ijesha, owu falls, arinta waterfalls nd ikogosi. All dose places are such a nice nd wonderful places 4 relaxation.